Chinese, Turks, European armies in full force to destroy an Indian king! Who sent the forces, did the king survive?? Read on! How Sangam literature saved Kalaingar Karunanithi's political career 50 years ago! second one of series of 10 poems from Ainkurunooru with reference to wild boar in Ainkurunooru. These poems by Kapilar speak of love and separation. The proverb tells about superiority of importance one's own action over that of prayer and luck. What is true fame? Poet’s advice to his ruler 2000 years ago! Pretty much describes Tamil Nadu’s current situation! Karka Nirka's 10th anniversary. A thank you note and 10 of my favorite blogs over the years. Share your favorite blog as comment. Another gem from Auvviyar of Sangam age. A poet par excellence, most of us know her songs on Adhigaman Neduman Anci. In way some of her poems were prelude to hero build up songs in Tamil cinema. But the side most of us don’t know is the sensitive and mostly aggressive love poems. This a poem from a lover lorn Thalaivan's point of view. It is not easy for women especially if the marriage doesn't work out. Thaliavan has started philandering and he is not allowed to enter the house by Thalaivi. When Panki (Thalaivi's friend) comes to advice her of not have love quarrels with her husband and asks her to let him in. Thalaivi responds that as husband he should care for her like a father and mother. And feels he isn't behaving like that, when there is no love how can there be love quarrel is her central question. Sangam literature deals with every facet of love and marital life. Next time you vote for a reality show or in an appraisal cycle, think about this poem! Beautiful poem on Self esteem from Purananuru. A verse from Malaipatukatam on integrity of a kings council. Malaipatukatam (Echoes on the Mountain) by Peruilkunrur Perutikaucikanar is dated c. 210 A.D.The title of the poem is taken from line 348; the original title was perhaps different. A poem of 583 lines celebrates Nannan the son of Nannan,and describing various aspects of life in different communities of his territory, It contains some exquisite pictures of nature. By far one of the best love and philosophical poem, I have read in Tamil. It is a surprise to me it matches Sangam love poems but surpasses them here by it deep philosophy.This poem has layers, each passing day I was realizing a new meaning to the poem. Plain vanilla translation would neither emphasize the philosophy of the poem nor the intended meaning of the poem. 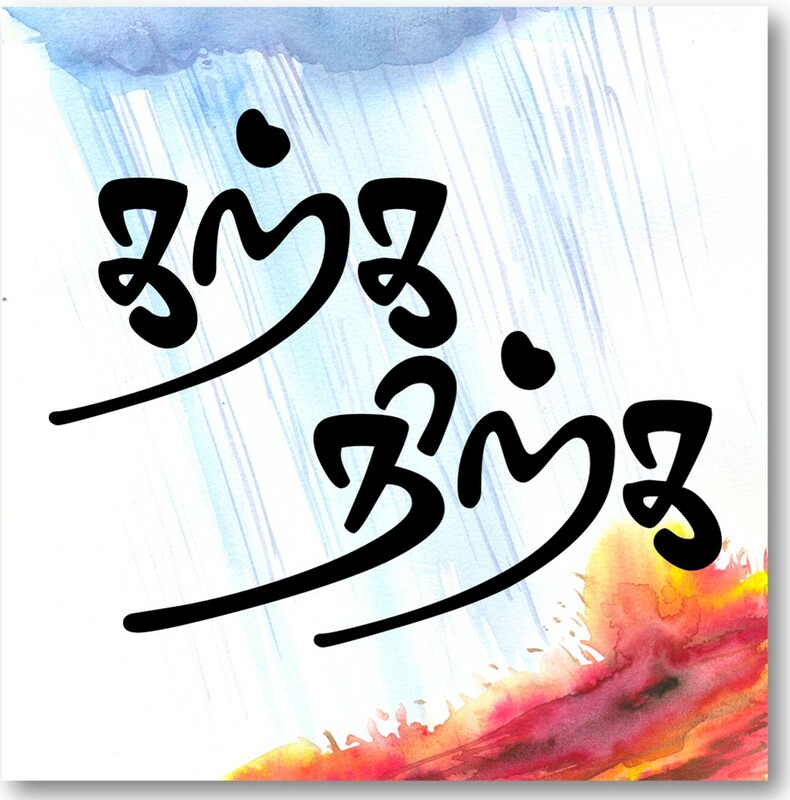 Probably one of the greatest visual imagery in Tamil literature. Any body who wants to understand the greatness of Sangam Tamil poets need to read the poem and see my visual representation. Nothing more to say from my end the picture would say the rest! your romantic heroes used it in films!!! !